This blog comes from Ruth Jacobson, a committee member of the Verne Visitors Group (VVG). 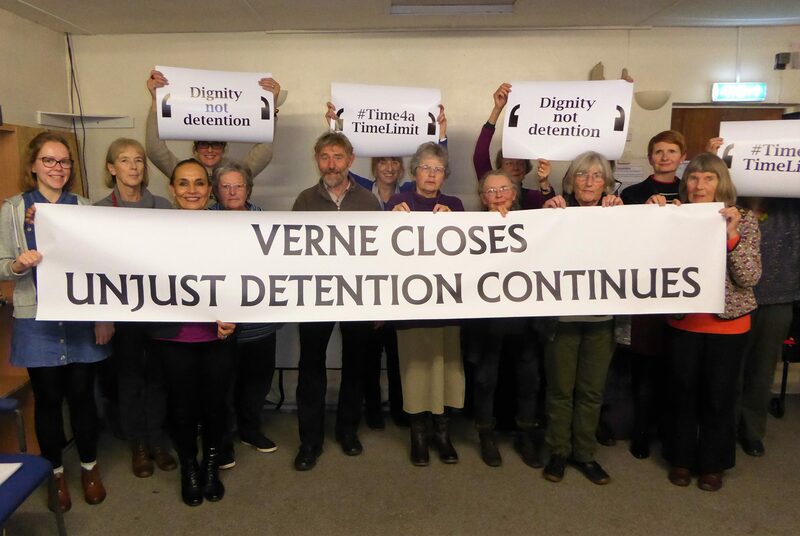 VVG was established in 2014 to support people detained in The Verne immigration removal centre (IRC) until its closure in December 2017. Here, Ruth is writing in a personal capacity. At the time of Unlocking Detention 2017 (#Unlocked17), our group was confronting the implications of the closure of the Verne IRC. What should be we doing now we were no longer going to be taking the coast road up to the Verne citadel with its deliberately forbidding entrance tunnel and massive walls? 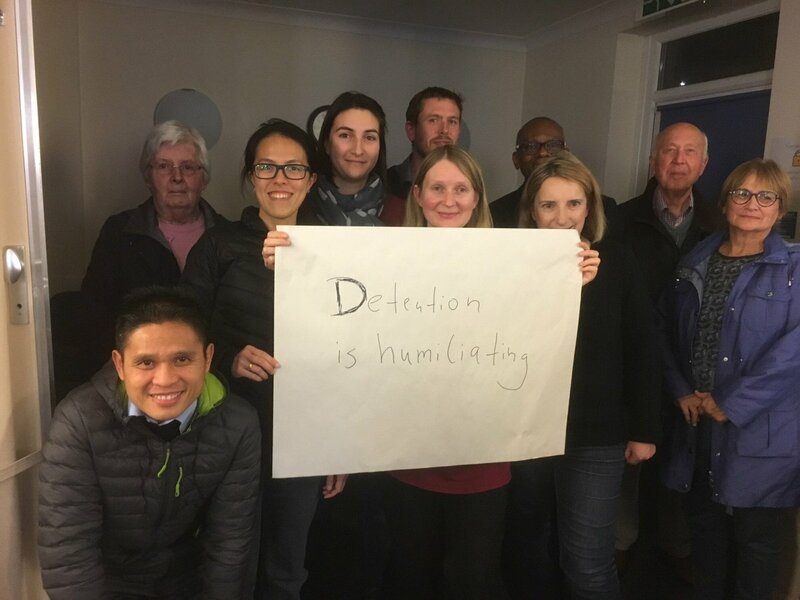 As our banner in our ‘selfie’ affirmed, we were all too aware that unjust detention would be continuing all over the UK. We were fortunate in that the our principal sources of funding – Lush Charity Pot and the Esme Fairbairn Foundation Small Grants programme – were prepared to continue support for the campaigning aspect of our work and we would like to formally record our appreciation of this here. 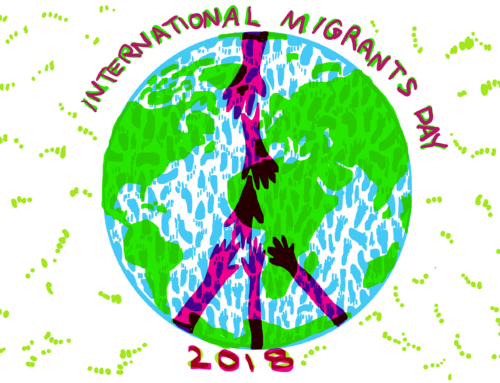 After consultations with our membership, the priorities for 2018 were, first, to establish the feasibility of maintaining one to one support remotely and secondly, to continue our programme of spreading public awareness of the realities of immigration detention across Dorset. The first object has raised significant technical as well as ethical issues, and is currently still under review. The second has been more straightforward. 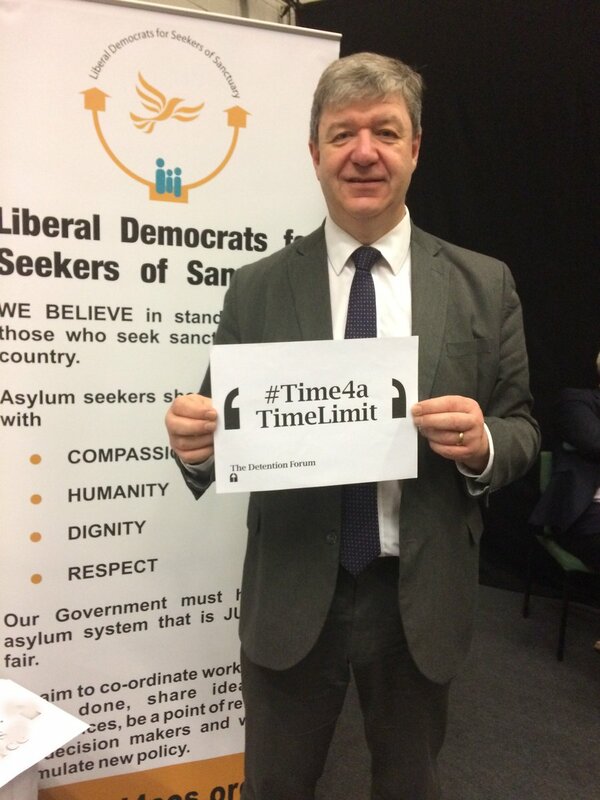 Despite the apparently conservative nature of Dorset, we consistently find that once they learn more about detention – and particularly about the lack of a time limit – people are both astonished and outraged. We have also been fortunate in that one of the few ‘bright spots’ in the experiences of the men detained in the Verne was their chance to take part in producing art work. We have had these converted into colourful leaflets, which help affirm the humanity of those living ‘behind the walls’. 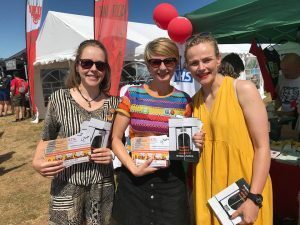 These have been distributed at events at the historic Shire Hall in Dorchester, where the sentences of deportation were handed out to the Tolpuddle Martyrs; and at the Tolpuddle Festival, where they attracted the attention of Maxine Peake. 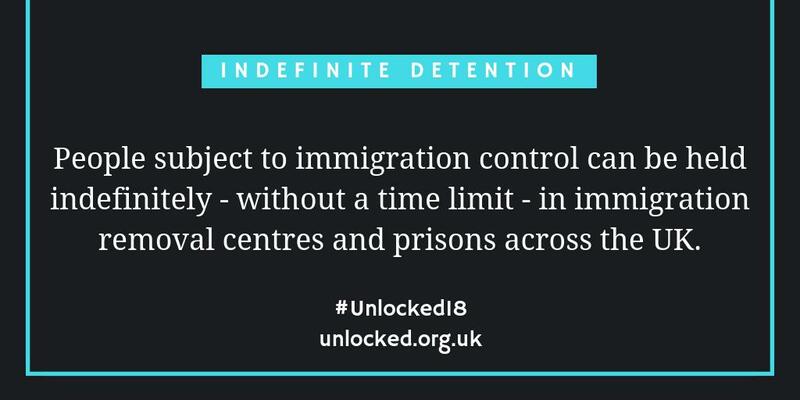 It was noticeable that at that event, many people attending were not aware of the lack of a time limit on detention. As ever, their response was ‘Surely, that cannot be right – what can I do?’ Now we have a response – we can provide them with a pre-paid postcard to their local MPs. Looking back on the year since closure, we are cautiously optimistic for the future. At the broader level, it does seem that attention is finally being paid to the injustices of the current system. Within our local area of operation, we know that the experiences of visiting will stay with our members for far longer than the lifetime of the Verne IRC and will help them to take on the challenges we all encounter from biased and/or misinformed conversations in our local communities. 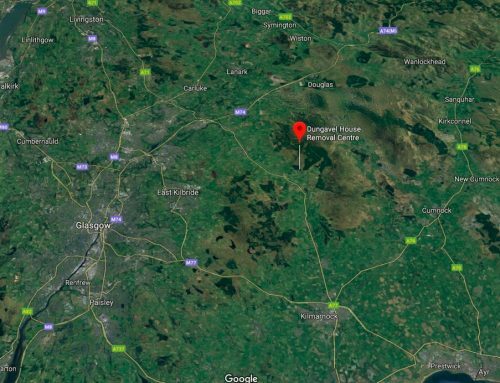 Finally, in case you were wondering – we have avoided making any change in our name, as we feel it has resonance for us in terms of our visiting experiences, as well as for all those people who have visited the beautiful site. You can also find VVG on facebook.